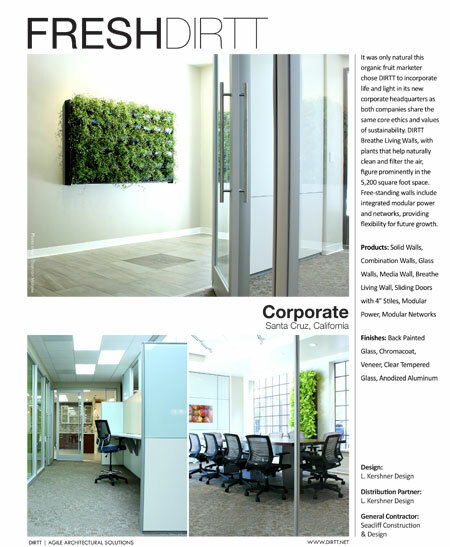 LKD is pleased to be a partner with DIRTT Environmental Solutions. 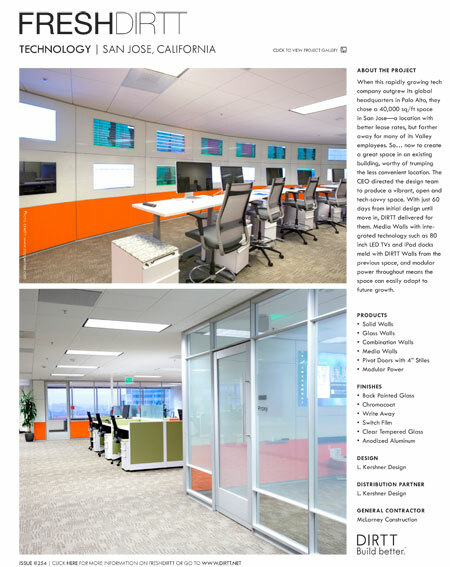 We love designing with DIRTT, and our clients are thrilled with the results. What is it? A brilliant system of innovation, beauty and sustainability that is changing the way we design, build and experience commercial interiors. 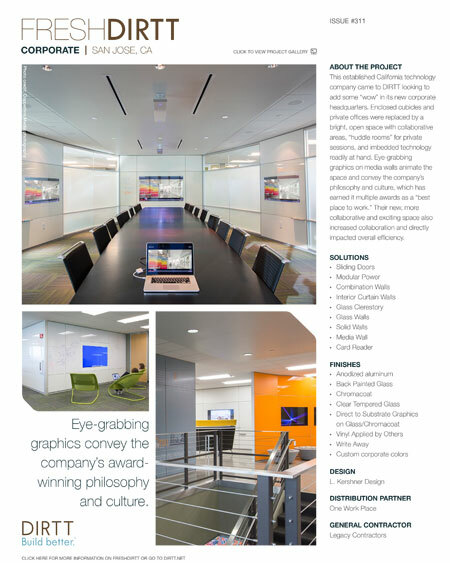 DIRTT is a building process powered by technology. The name stands for Doing It Right This Time. The company uses its proprietary ICE® Software to design, manufacture and install fully customized interior environments. The technology drives DIRTT’s advanced manufacturing and provides certainty on cost, schedule and the final result. Complete interior spaces are constructed faster, cleaner and more sustainably. DIRTT’s manufacturing facilities are located in Phoenix, Savannah, Kelowna and Calgary. DIRTT works with nearly 100 sales partners throughout North America, the United Kingdom, the Middle East and Asia. Dirtt helps us serve you better. 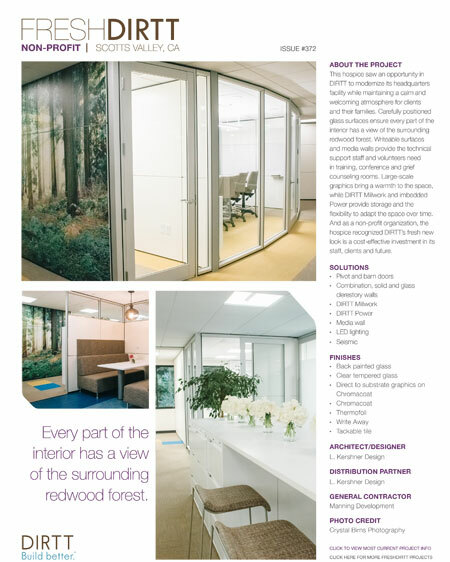 Learn more on DIRTT's website. FreshDIRTT are short write ups on featured projects. Click on any of the images below to view featured projects by LKD.